Super-Mex Foods® recently opened a new facility in El Puerto de Santa Maria, in southern Spain, which allows us to function within industry standards of HACCP for strict quality and hygiene control. We have installed our own laboratory where we can test and verify our products. Our internal laboratory controls quality parameters of our daily production, and it also allows us to control the quality of products we receive from our suppliers. Analysis of the water used to make the products. Routine, unannounced inspections of our facility by auditors and health inspectors. All Super-Mex Tortilla Chips are gluten free and a great choice for Celiacs and people with gluten intolerance. 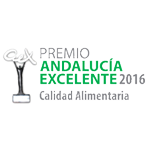 Super-Mex Tortilla Chips are listed with the “Federación de Asociaciones de Celíacos de España” (FACE), Federation of Spanish Celiac Association which lists approved gluten free food products. Super-Mex Foods® has a 25 year history of service and quality in the food sales sector. For that reason we are in possession of an IFS Food Superior Level certificate. Our commitment to quality control and to improving our standards on a daily basis makes it possible to guarantee to our customers that their satisfaction with our products is our main goal. All Super-Mex Tortilla Chips and Corn Tortillas are certified GMO free. Our corn suppliers certify that the corn we use is not genetically modified. All Super-Mex Tortilla Chips and Corn Tortillas are gluten free. Being a great choice for Celiacs. 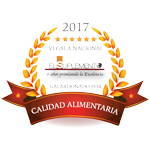 Also they are in the process of being included in the list of approved gluten free products for celiacs with the Federation of Spanish Celiac Association (FACE). The ISO 9001 standard helps us develop a Quality Management System to meet our customers’ quality requirements while continually improving operational processes. Full certification is expected in the fall of 2014. IFS represents an international consensus on good quality management practices in food, among other things. Full certification is expected in the fall of 2014.